Angela Savage went to Southeast Asia in 1992 for six months and ended up staying six years. Based in Vientiane, Hanoi and later Bangkok, she managed a HIV/AIDS program for the Australian Red Cross that covered Laos, Vietnam, Cambodia, Burma and southern China. 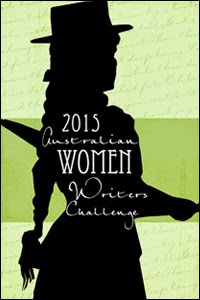 She returned home to Melbourne in 1998 determined to nurture her dream of becoming a published author. Angela’s short story The Mole on the Temple won third prize in the Sisters in Crime Scarlet Stiletto Awards in 1998 and introduced Bangkok-based detective Jayne Keeney, the main character in her first novel, Behind the Night Bazaar, published by The Text Publishing Company in 2006. 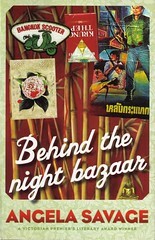 Behind the Night Bazaar won the 2004 Victorian Premier’s Literary Award in the unpublished manuscript category (as Thai Died). It was shortlisted for the 2007 Ned Kelly Awards Best First Book and translated into German as Nachtmarkt. 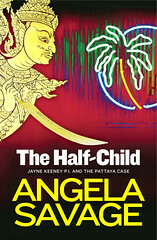 Angela’s second novel, The Half-Child, was shortlisted for Best Fiction in the 2011 Ned Kelly Awards. 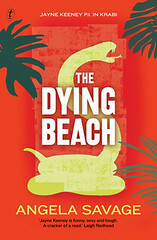 Her third novel, The Dying Beach, was shortlisted for both the 2014 Davitt Award for Best Adult Novel and the 2014 Ned Kelly Award for Best Fiction. In the mid-1980s, Angela worked as an au pair in France, before completing an Arts degree at the University of Melbourne with Combined Honours in Criminology and the History & Philosophy of Science. Angela has published numerous articles based on her travels and her work in sexual health and international development. Angela lived in Canberra from 1999-2002. In 2000-2004, her work as Director of the Sexual Health and Family Planning Australia International Program took her to countries throughout the South Pacific and back to Southeast Asia. In 2008, Angela and her family lived in Cambodia where she wrote The Half-Child and worked as a consultant on HIV and harm reduction. Angela’s short story The Teardrop Tattoos won the 2011 Scarlett Stiletto Award and was published in the anthology Crime Scenes (Spineless Wonders, 2016). Other short stories have appeared in the Review of Australian Fiction, Hard Labour (Crime Factory, Melbourne, 2012), Arena Magazine and Farrago. Angela has also published works of non-fiction and has collaborated on comics with Bernard Caleo (see here for other publications). 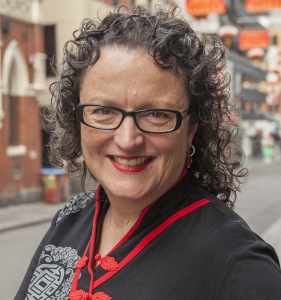 In 2014, she commenced a PhD in Creative Writing at Monash University in Melbourne, Australia, on the topic of commercial surrogacy between Australia and Thailand. She lives with her long-time partner, fellow crime writer Andrew Nette, and their daughter. Crime with a conscience, The Sunday Age, 11 June 2006.